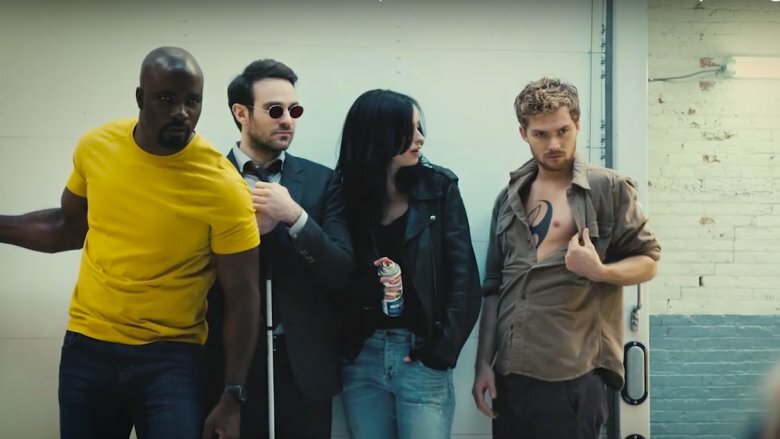 In October of 2018, Netflix surprised fans of its little Marvel Comics-inspired universe of shows by announcing the cancellation of Iron Fist and Luke Cage. Both shows had their devoted followers, and both seemed to be creatively coming into their own, but within a week of each, they were gone. While both pieces of news were a bit of a shock, sadly Iron Fist was the less shocking show to get the axe. 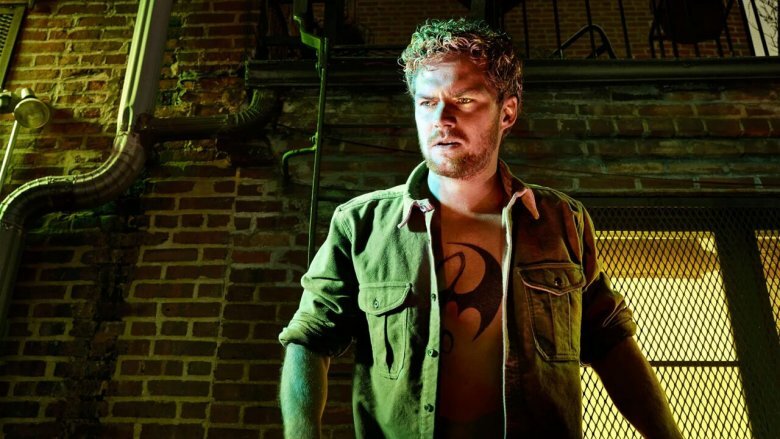 Though its second season greatly improved upon its premise, Iron Fist struggled from the beginning to find its place in the Marvel Netflix partnership, and even as it evolved and grew there was always a nagging feeling that it didn't quite belong. By the end of its run, there were definitely characters and storylines fans were attached to, but many of us had never really fallen for the show itself. In that way, perhaps Netflix was right to let it go, and here are a few reasons why. Warning: SPOILERS ahead for both seasons of Netflix's Iron Fist. Each of the four flagship Marvel Netflix shows is, of course, named after the title character, and as such the story revolves around them. In that sense, though, there's one thing that sets Iron Fist apart from Daredevil, Jessica Jones, and Luke Cage: Matt Murdock, Jessica Jones, and Luke Cage are, well… interesting. 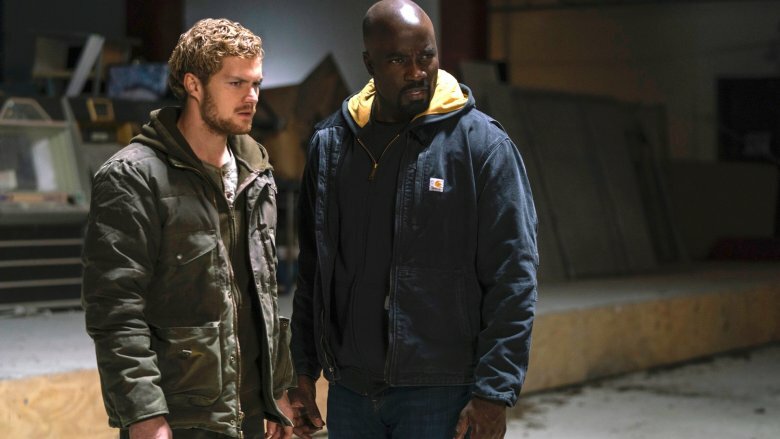 Finn Jones does what he can with the material he's given as Danny Rand, the billionaire heir turned exiled kung fu master who spends much of season 1 trying to prove who he really is. Sadly, the show doesn't give him much to work with in terms of proving he can be either heroic or emotionally intriguing, and much of his struggle to simply prove what the audience already knows to be true is a bit of a slog. Plus, it's never quite clear what Danny wants, especially in the show's early episodes. He wants his name and legacy back, but he also wants to fulfill his destiny as the Iron Fist, and the show never really reconciles those things. Plus, the fish-out-of-water vibe doesn't really work when he left New York City as a tween and returns acting like he's never seen an American city before. Ultimately, in many of the show's episodes, Danny is the least interesting person in the room, and when your show is called Iron Fist, that's a problem. 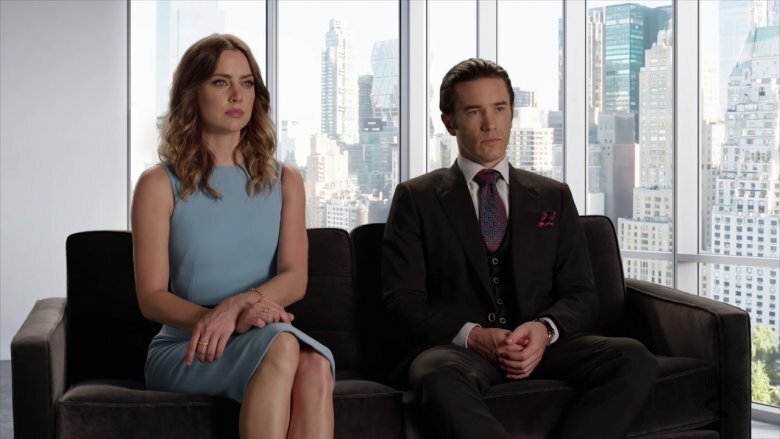 When Danny Rand first arrived back in New York City, his primary opposition came in the form of Joy and Ward Meachum (Jessica Stroup and Tom Pelphrey), childhood friends who had since taken over leadership of his father's company. While Joy thought there was a glimmer of hope that Danny could be who he said he was, Ward was having none of it, and both of them thought the guy was just plain weird. Plus, to make matters more complicated, Ward was keeping the secret that their father Harold (David Wenham) was actually still alive, living in a secret apartment and orchestrating things from afar, including Danny's manipulation and eventual destruction. 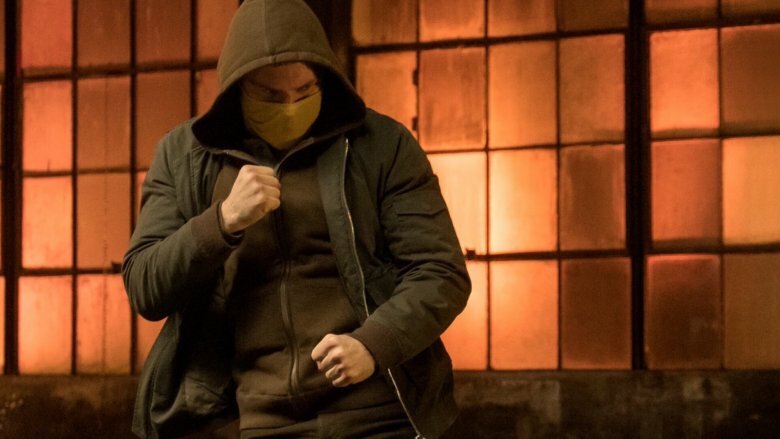 Danny Rand is a guy who got lost in the mountains, discovered a magical city and learned kung fu so rare that he can make his fist glow. His opponents are… corporate interests determined to protect what's theirs. And not corporate interests with ninja henchmen (at least not at first), just corporate interests. The Meachums got a little more interesting in season 2, but not enough to justify them having such a major part in the show for so long. If you're going to grow an ensemble on a television series, you need some standout supporting characters to start stealing scenes right from the beginning. 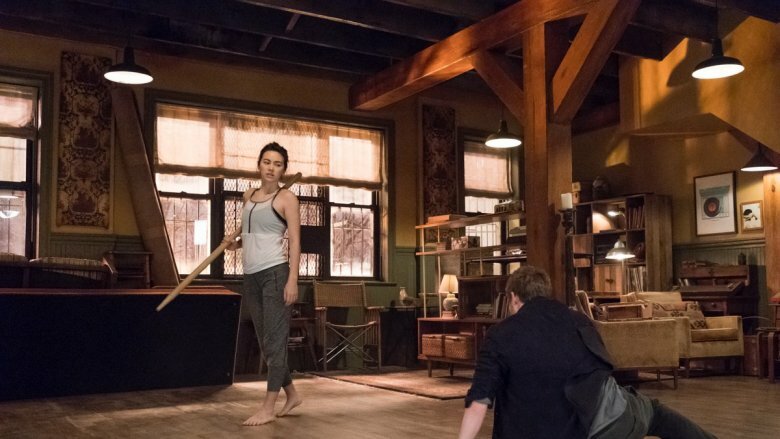 Daredevil had Foggy Nelson, Luke Cage had Misty Knight, and Iron Fist had Colleen Wing (Jessica Henwick), the martial arts instructor who became Danny's friend and, ultimately, something more. Colleen established herself as a scene stealer right away, but within just a few hours of Iron Fist it was clear that she was also something greater. She was easily the show's most compelling character, and when it devoted more time to her, it became more watchable. When it strayed back to focus on Danny's solo struggles, Iron Fist suffered. By the end of the second season the show clearly embraced Colleen as the show's driving force, but it seemed to be too late. It's hard to have a show that's ostensibly about Danny Rand when you just want to watch the Colleen Wing show all the time. What does it say about Iron Fist that the best Iron Fist story on Netflix might have been in an episode of Luke Cage? The prominence and likability of Colleen Wing brings to mind a bigger problem than just the show's own struggles to make Danny a compelling solo hero: Danny is always at his best when he's part of a team. Each of these shows thrives when it has a great ensemble to work with, but Iron Fist seemed to lean on its supporting players more than any other series, even with Luke Cage's reliance on Misty Knight and Claire Temple to consider. There's nothing wrong with working in a group, but for Iron Fist that meant any time we were supposed to be focusing in on a supposedly powerful solo moment for Danny, it was lessened by its surroundings. Danny shined as part of a duo or part of a larger team, and though it wasn't immediately apparent, that dynamic ultimately seemed to cripple the show. From the beginning, Netflix's Marvel universe was built on the concept of street level superheroics, and though the shows featured very different characters, they had certain things in common. They're all stories of people trying to find their place as heroes, they all ostensibly take place in a different New York City neighborhood, and they're all relatively gritty compared to the flashier Marvel Cinematic Universe big-screen installments. Iron Fist certainly fits that mold, but even with those things taken into consideration, it never quite fit in alongside Luke Cage, Daredevil, and Jessica Jones. That's not necessarily a problem, but it was an issue compounded by Iron Fist's struggle to figure out what kind of show it wanted to be, something the other three launch shows didn't have quite as hard of a time with. Because of that sense that the show was always reaching for something it never quite grasped, it always looked like the straggler, and while we may never know how much that hurt, it certainly didn't help. Iron Fist's struggles to find its footing and to mesh with the rest of Netflix's Marvel-inspired slate were further highlighted by another issue with the show, something that was usually conveniently sidestepped as often as possible but was still hard to overlook. All of the Defenders in Netflix's shows are street-level heroes, but Danny Rand is set apart not just by his upper-class roots, but by how he got his powers. He stumbled upon a mystical city, was trained to be a great martial artist, and fought a dragon until he was granted the power of a magic glowing fist. That's not out of place in a comic book world, but it's still a far cry from Matt Murdock's origin story. That might be a problem in the world of Netflix street heroes, but Iron Fist could have gotten around that by being a bit more ambitious with its worldbuilding. 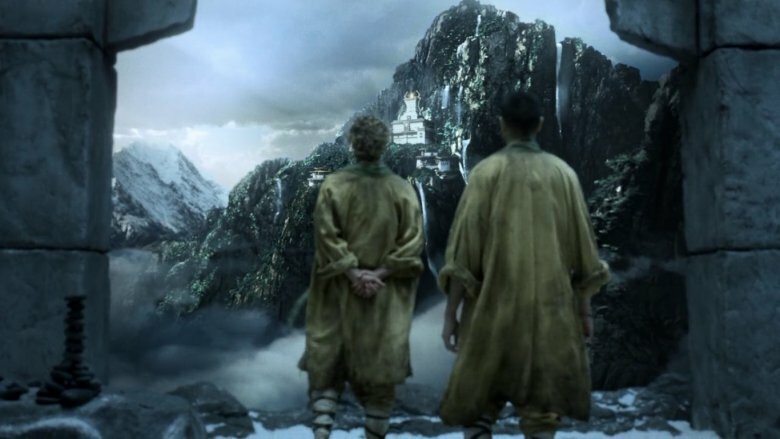 In the comics, K'un Lun is a place full of interesting characters, and it's one of several magical cities where other immortal heroes are born. Instead of exploring that, the show stayed small and saved its biggest twists for the very end of season 2. Perhaps it should have thought bigger a little earlier. The show's inability to merge with the rest of Netflix's Marvel aesthetic and its too-little-too-late approach to worldbuilding also connect to another, somewhat perplexing, element of the show's structure that viewers wrestled with, particularly in the improved but still flawed second season. The show seemed to outgrew its premise over and over again, if it ever had a concrete one to begin with. 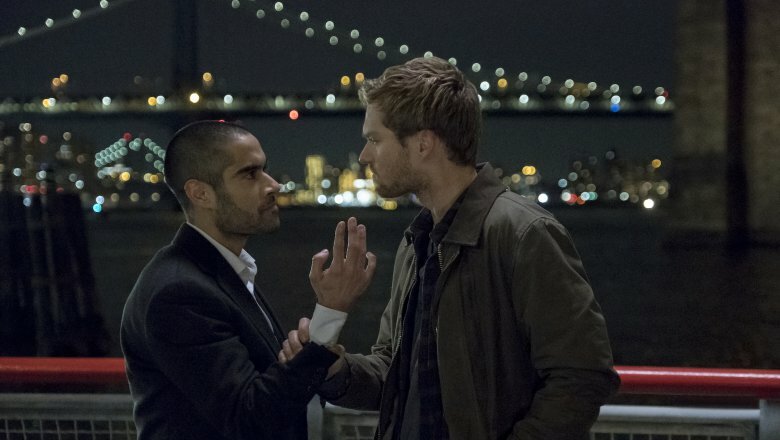 It started as a show about Danny Rand trying to take his place in New York City again, while he himself seemed certain of his place as the Iron Fist. Then that was cleared up, and Danny's uncertainty over his abilities manifested. Then that seemed to clear up, and he had to wrestle with it all over again when Davos showed up to try and steal the Iron Fist gifts from him in the second season. Then that was overhauled all over again by the end of season 2, when Danny realized he needed to pass his gift on to Colleen. 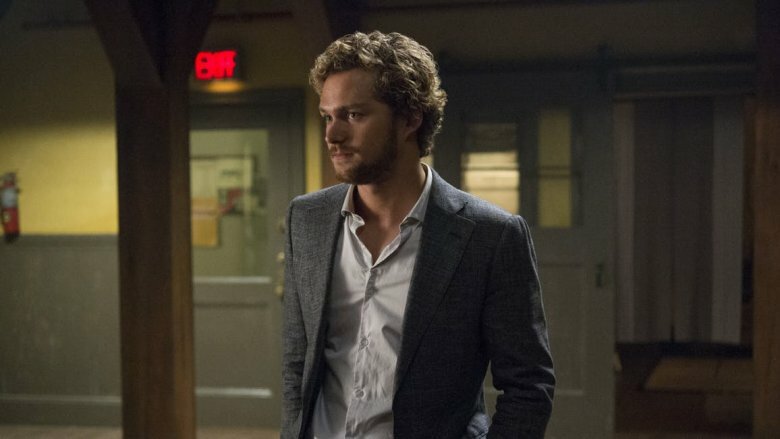 There's nothing wrong with revisiting themes, but in the case of Iron Fist, all of this constant reframing of what it meant to be the Iron Fist, who deserved it, and why, suggested not a show that was evolving, but a show that could never quite find the right balance in the first place. It was frustrating and often confounding to watch, and it never served the show very well. Of all the Marvel Netflix heroes, Iron Fist has the flashiest and most visually distinct set of powers: His fist glows. It's a quick and easy to distinguish representation of his identity as a superhero, but that aside, the show never quite settled on an identity for the rest of the world around Danny and his fist. Season 1 certainly tried to do this by establishing the parallel worlds of Colleen's dojo and the Rand offices, but beyond that, the show's Chinatown setting never got fleshed out much, or lingered in one place long enough to give it a clear sense of place. 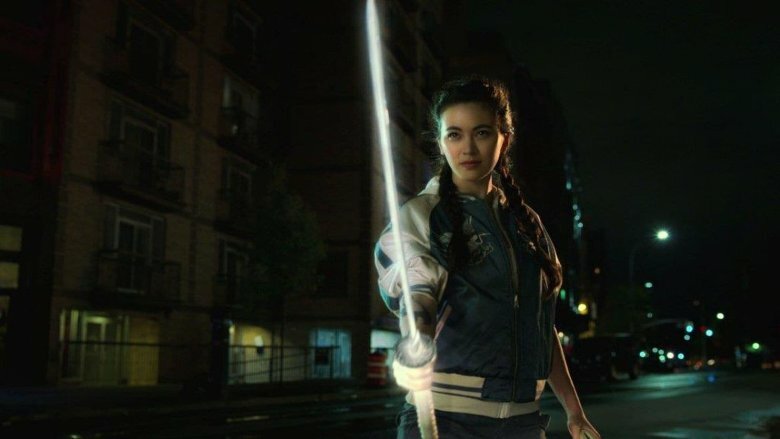 There were certain clear identifiers, like Colleen's katana and the Chinese restaurant Danny and Colleen frequented, but it wasn't the same as the Alias Investigations office on Jessica Jones or Luke Cage's bullet-riddled hoodie. This lack of a clear visual and geographic identity seemed to manifest itself perfectly at the beginning of season 2, when Danny showed up with a mask over his face on a seemingly random street to thwart a group of bad guys. It was a nice try, but it was far from the Devil of Hell's Kitchen hopping across rooftops in Daredevil. We've spent a lot of time here talking about the various flaws — structural, aesthetic, thematic, and otherwise — of Iron Fist, and indeed the show had quite a few issues that it was working through. All of that aside, though, season 2 was a marked improvement over season 1, and the show's paradigm-shifting finale had it primed to do something remarkable in season 3 if it had gotten that far. That shift, though, brings with it a change in thinking about why it might be a good thing that Netflix canceled the show: Because Iron Fist now has the chance to grow into something more. When we left the series, Colleen had new powers, Danny seemed to have reclaimed some version of his old abilities, Misty and Colleen were a recognizable team, and the future looked bright. It looked so bright, in fact, that the show could now evolve into something bigger, a team-up series like Heroes for Hire or even Daughters of the Dragon. Netflix may have been right to cancel Iron Fist, but they'd be wrong to take these characters away right now. The best move would be to use this as an opportunity to create something new.